It seems that there is the next best thing in technology announced every 6 months, usurp the previous generation and raging war with our pockets and landfills with planned obsolescence. This seems particularly prevalent for digital cameras. The Canon xxxd line gets updated every year without fail, even when there doesn't seem to be the technology to support an upgrade. But with micro 4/3 I feel that the technologies being developed are racing ahead faster than ever: electronic viewfinders can always be bigger, sensors can always be tweaked and body shapes and ergonomics will always change. 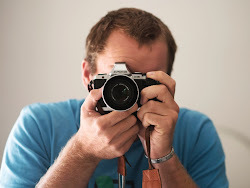 First is was the Fuji xe1. Gorgeous image quality with external controls and an evf. But it wasn't weather sealed and I had only just bought my em5. I keep finding stellar deals on used xe1s online though so maybe in 6 months when the hit $300 I might have to try one... So I didn't buy an xe1. A few months later came the Panasonic gx7. This seemed to be the camera that had everything from my em5 along with all the things that I wanted plus some improvements. I went into camera stores every week to hold one, to get a feel for it but I held off. Because in have an em5. The gx7 had a better evf, higher shutter speed, silent mode, better video, better ergonomics, WiFi and improved image quality. But it's not weather sealed and it only represents a slight upgrade. Not that I own any weather sealed lenses but I like to hold my em5 lens down in the rain so the camera acts as an umbrella for my lenses. It works, trust me. So I didn't buy a gx7. The em5 was such a success it was bound to have a follow which was the em1 late last year. Everyone online seems to love this camera. Everyone. It has every upgrade possible that they have lying around at Olympus hq. Better evf, higher shutter, better weather sealing, better autofocus, better ergonomics, better buttons, user custom settings, improved image quality... A lot of improvements over the em5. But it has this big built in grip which I couldn't live with. I love using the add on grip on my em5 but it is so liberating to just use a little pancake with a bare em5 and no strap. It's tiny and discreet. So I didn't buy an em1. Now we have the Sony a7. Full frame and full frame. It seems that it's only redeeming feature is the size of its sensor as everything else on the camera seems mediocre: poor auto focus, average button layout and it's hard to tell if the image quality is any better than my em5 as every photo I can find online is 90% bokeh... Oh and there are only 3 1/2 lenses available for it. So I didn't buy an a7. 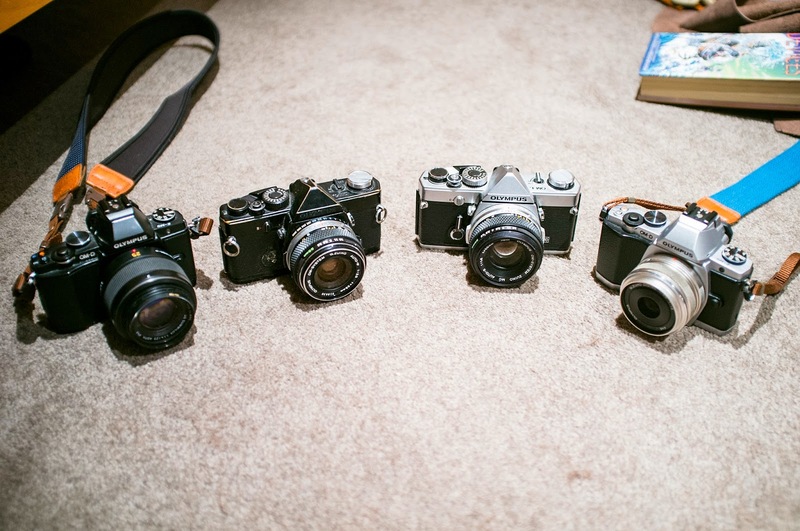 - external iso, shutter and aperture, plus 2 more customisable dials. - Fuji lenses, while expensive are sweet as. - weather sealed to a higher standard. - larger sensor with that awesome Fuji image quality. - no Olympus 75mm lens. This is my favourite lens and it is the main reason why I won't be leaving m4/3 any time soon. - no cheap 45mm lens. Gotta have those cheap but good primes and Fuji lenses ain't cheap. - no image stabilisation. Its something i have come to rely upon for video and low light shots. - average video. Not that the em5 is amazing but it is still better. So while the xt1 may be the best thing for camera since sliced bread, my Olympus em5 still can do more than I can get out of it. That is to say that my photos would only benefit from upgrade in a small way. It's not like going from a 2001 dslr to the latest generation. 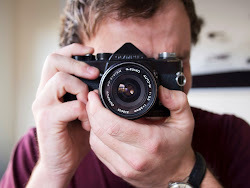 The main thing that is making me hanker for the xt1 is the usability: the eternal controls and the huge evf. But I love my em5 and my Olympus and Panasonic lenses and it is still producing images that far exceed the quality of what I can pull out of it. Improving my editing technique and investing in some more cokin filters and getting out into unique places more is going to improve my photography much more than buying a new camera.